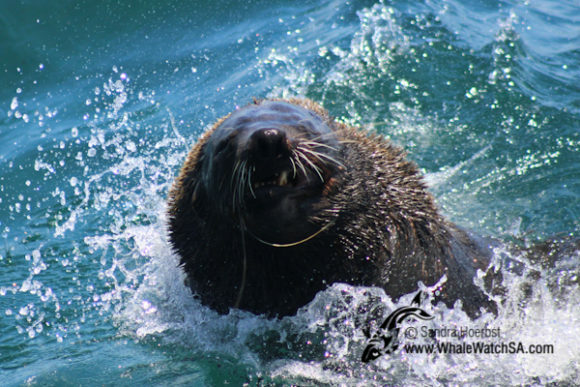 We had another great eco-tour with a lot of marine wildlife. 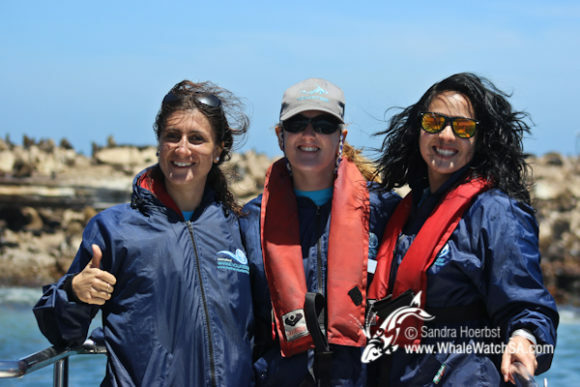 After launching from the Kleinbaai harbour we headed towards Uilenkraalsmond and towards the shark cage diving vessels as usual. 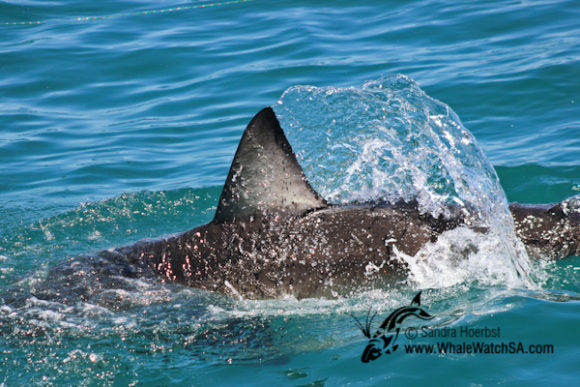 As soon as we arrived at our sister company, Marine Dynamics ‘ shark cage diving vessel, we got to see some good shark activity. 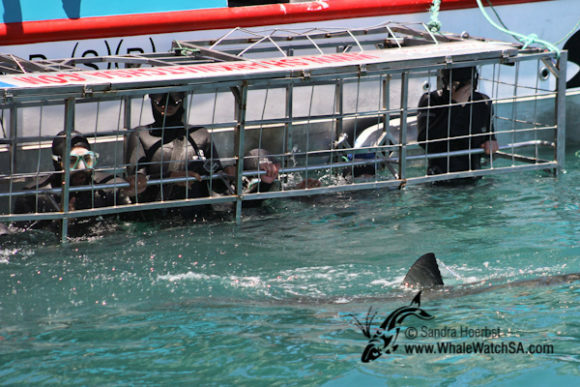 They passed the cage several times. 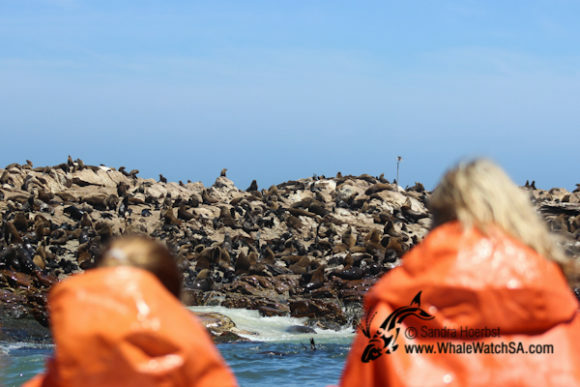 Later during our tour we passed Dyer Island to see the endangered African penguin, but they were difficult to spot in between all the nesting Cape cormorants. 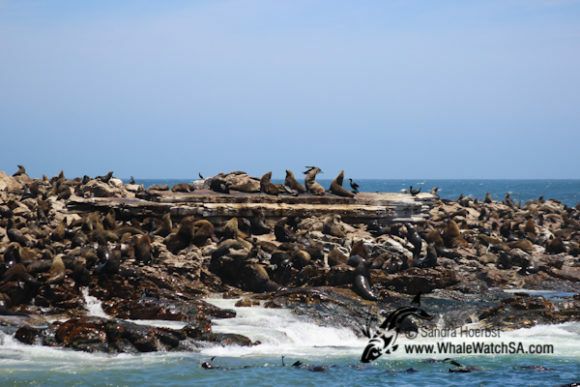 Around Dyer Island closer to Geyser Rock we watched the Cape Fur seals having a bath in the famous Shark Alley. Others were just being lazy, laying on Geyser Rock in the sun. 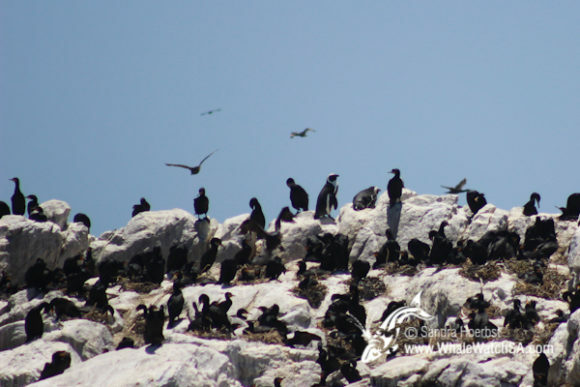 After a great time on our way back to the harbour we got to see a flock of Cape cormorants sitting on the surface.